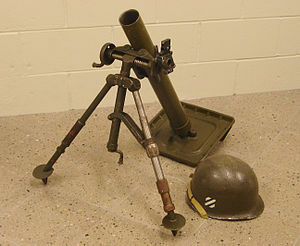 This mortar was used at Company level to support the infantry. It weighed 42 pounds and could fire three pound shells up to a range of 1,800 metres. It was widely used during the Second World War, the Korean War and the Vietnam War. During the Korean War it was used by both the American and South Korean Armies.